It is evident that child safety was thoroughly taken into consideration during the manufacture of the current generation of family cars. The vast majority of family hatchbacks and modern vehicles are equipped with safety features, like automatic child locks and easily adjustable seat belts in order to ensure minimal damage in the event of an accident. Alex Gibbons of LRC 4×4 believes that protecting your child may be the single most important factor to consider before setting out on a car journey, whatever the length. In addition to this, parents have to take precautionary measures to ensure the safety of children in the car. There are various methods of keeping your children as safe as possible throughout any journey, many of which revolve around their seats. It is crucial that you invest in a car booster seat that is deemed to be suitable for the age of your child. It is against the law for children who have not yet either reached the age of 12 or the height of 135cm to travel without one of these special seats. As a parent, you must also always take care to properly secure your child in their seat, ensuring that their belt is tightly fitted around them. Many children become restless during car journeys and may fiddle so it is a good idea to constantly check that their belt is still fitted when it is safe to take your eyes off the road. A lot of cars have safety technology installed that alerts you when a seat belt is undone, so make sure this setting is enabled. Supposing that you might have invested in a rear facing car or booster seat, you should ensure that it is placed on a seat in the back of your car to make sure that your child is completely safe and is not at risk of becoming injured, especially with new-born children. Whereas forward facing seats require your child to be seated and facing towards the front of the car, but restrained securely by the harness that is provided with car seat. Although accidents are highly unlikely, they are not impossible, and it is always best to be extra careful when you drive with children. Try to keep an eye on your kids as well as the road and the risk of anything going wrong will be greatly reduced. 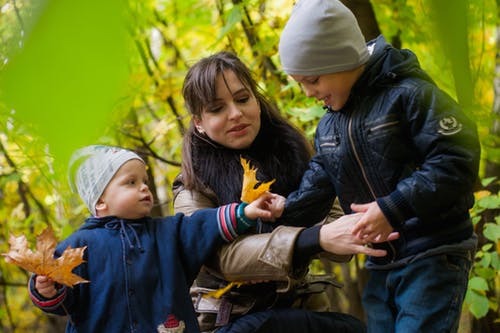 When it comes to your children, the most important thing in the world is ensuring their safety, but is it possible to ensure your home is safe and secure for children without spending a fortune? The answer to this question is yes, but parents on a budget need to think carefully about where to invest. Some childproofing measures are simple, and do not cost a huge amount, especially if parents are savvy shoppers. 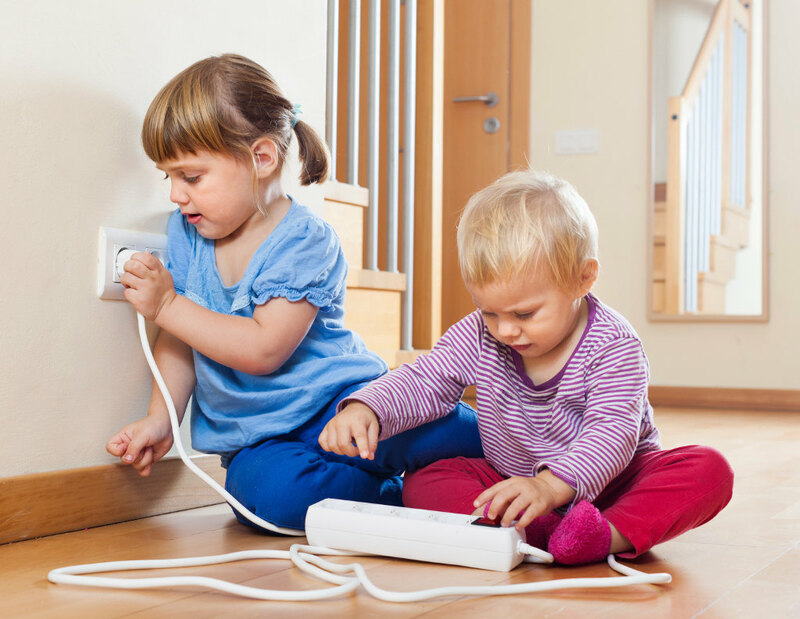 One of the first areas than can be quickly childproofed without incurring too high a cost, are electrical outlets. These can be easily childproofed using plastic guards that are available online for pennies a piece – simply ensure you buy enough to cover all outlets that may otherwise be left exposed – buying in bulk can help save cash so if you have mommy friends with children at the same stage, why not club together to ensure you all receive the best possible price. Other common areas for parents to take childproofing measures are the kitchen and utility room. With cupboards containing cleaning products and drawers full of sharp implements, these areas can post a danger to small children, but again the solution is not expensive with adhesive plastic clips that prevent storage being opened by small hands. They are readily available at low prices on line or in low cost retail outlets. Parents who are on a budget may find it easy to invest in a single pressure fit stair gate, as this can be moved from the top to the bottom of the stairs as necessary. The stair gate should always be fitted at the entrance to the stairs nearest to the area the child is using at that time. While young children should always be supervised in the bathroom, some cheap childproofing measures can be taken in this area to ensure that children are as safe as possible while they are being bathed. Parents on a budget may choose not to invest in a dedicate baby bath, but if this is the case, they should ensure that an appropriate bath support is fitted in the tub to ensure that baby is not at risk of slipping during bathing. Older children will benefit from the fitting of a rubberized mat in the bath and shower to prevent slips, while plastic brackets can be fitted to heavy toilet seats and lids to prevent any slamming incidents during the toilet training years. Parents should also be aware of keeping sharp implements such as razors and nail scissors safely stowed out of reach of their children, while medicines and cosmetics should all be out of sight, preferably in a locked medicine cabinet. When your toddler begins to crawl and walk, everyday items can become hazardous to their health. Furniture can be childproofed in a number of ways. Tall chests and armoires should be secured to the wall using a bracket that will cost pennies at your local hardware store, while sharp corners can be cheaply padded using packing foam and tape if your budget does not stretch to a dedicated product. One danger area that parents can sometimes overlook when it comes to childproofing your home is the windows. They can pose a number of dangers to a small child. It some climates it is impractical to think that windows will always be kept closed, especially if the family is on a budget that does not stretch to round the clock air conditioning, so it is important that parents think about how opening windows can be made safe for young children. Many window units come with locking openings that allow them to be left ajar in a locked position with an opening too small for anyone to get out, or indeed, in. Parents may also wish to invest in solid window dressings such as locking interior window shutters that allow windows to be left open while a barrier is still in place – allowing air to circulate without exposing children to the risk of an open window. Parents with blinds and curtain tie backs should be aware of the risk of strangulation that both of these products can pose and should modify their window dressings accordingly – replacing them with solid twist blind controls or ensuring that any loopable materials are kept well out of reach of small hands at all times. While childproofing your home is always as good idea as one step to help prevent accidents in that could potential harm babies and children, parents should be aware that young ones need to be supervised at all times in order to prevent accidents and deal with unexpected dangers as they arise.